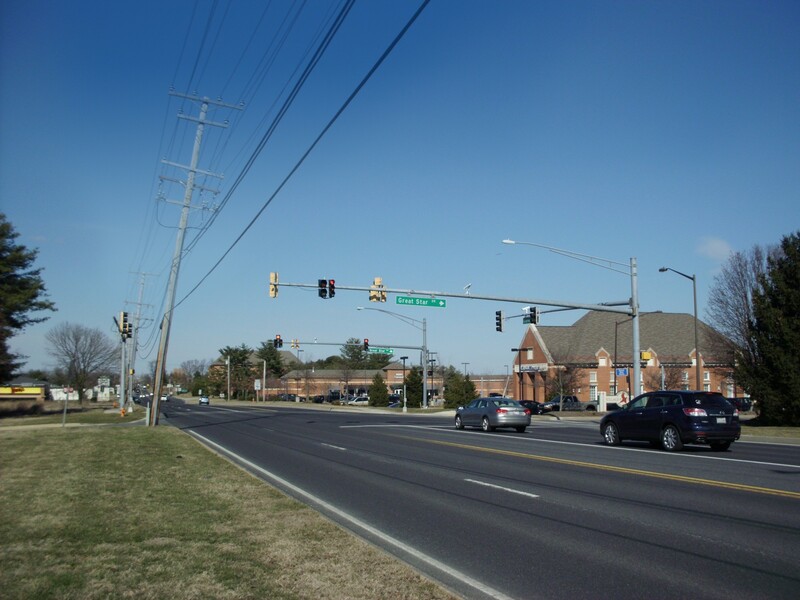 In 2013, Design Collective was engaged by Howard County to develop a detailed streetscape plan and design guidelines for a 1.7 mile section of Clarksville Pike/Route 108 that extends from Guilford Road to Trotter Road. Historically, this portion of Clarksville Pike was and continues to function as the area’s main commercial street. 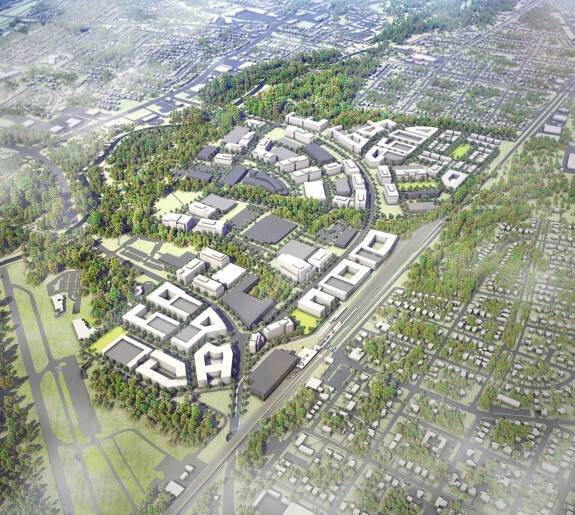 As development increased, the corridor became more heavily traveled and is now defined by the State Highway Administration as a major arterial road, supporting regional, often auto-oriented commercial uses. Focused on vehicles and providing limited capacity for pedestrians and cyclists, this north-south spine acts as a barrier between the land uses to either side. 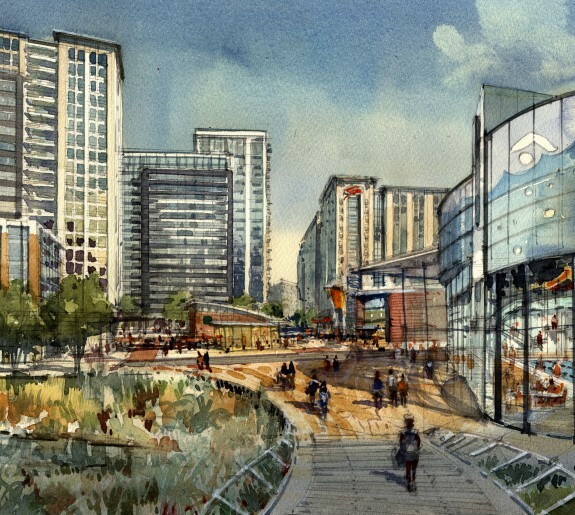 With the potential for economic growth and the desire for a more cohesive environment, Design Collective has been asked to lead the planning and design effort to create a more welcoming, multi-modal streetscape. Design Collective committed to creating a vision for Clarksville Pike that incorporates the best design principles and practices that will influence the way people live, work, and play in Clarksville. 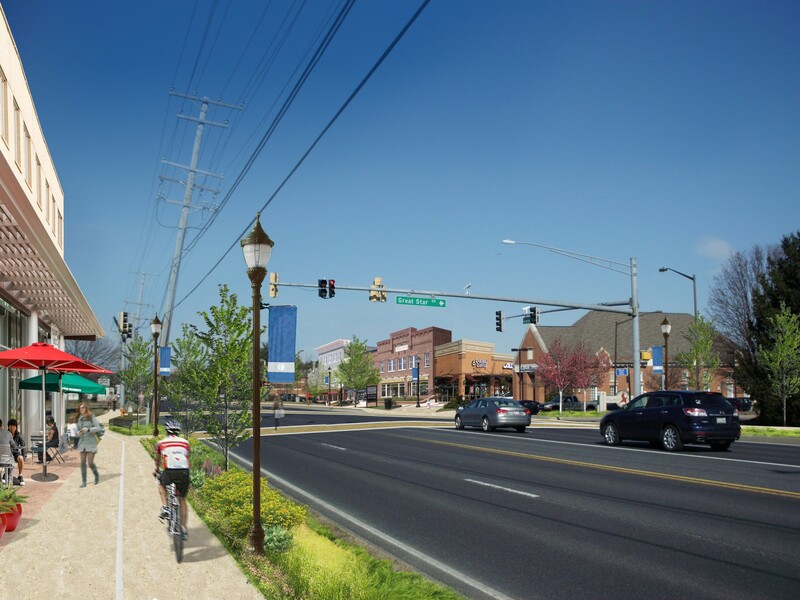 The primary goal was to ensure a consistent, high-quality built environment along Clarksville Pike that respects the surrounding context, is accessible and convenient for all users, and exemplifies the character of the best main streets in the region. 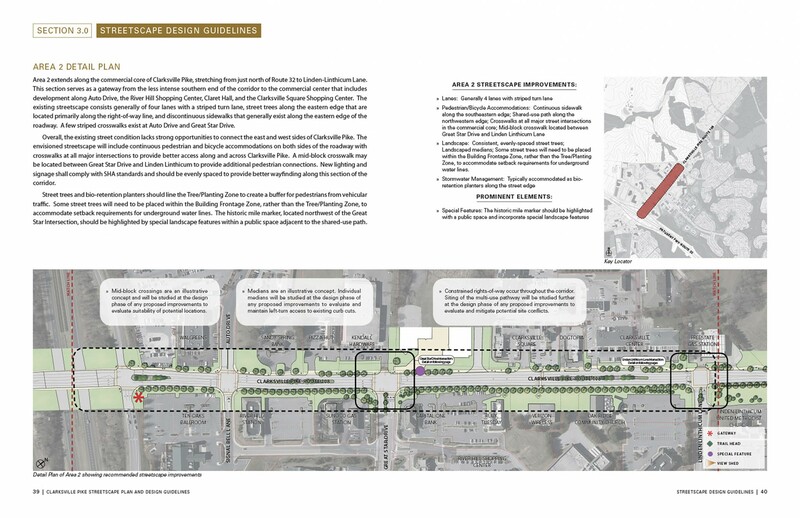 Through an extensive public process with Howard County representatives, stakeholders, and the broader community, Design Collective established a set of design principles to guide the planning and design of streetscape improvements. 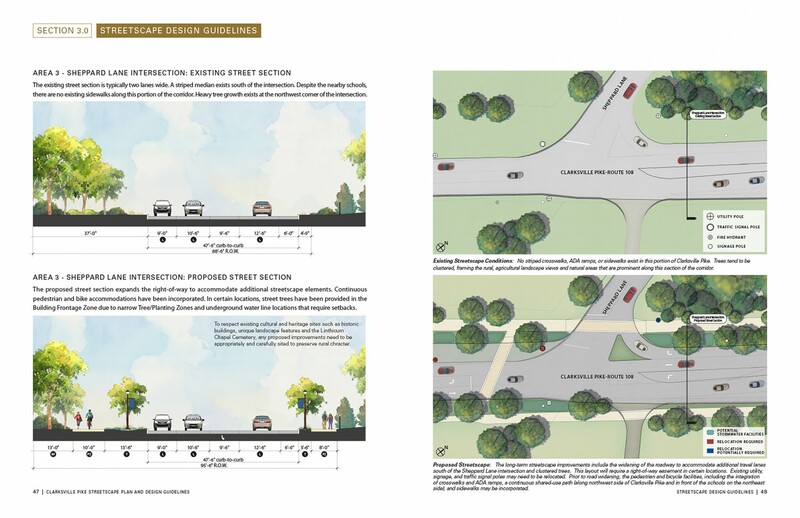 The Clarksville Pike Streetscape Plan and Design Guidelines define development criteria that respond to the design principles and provide a basis from which the County staff will evaluate future roadway, streetscape, and architectural facade improvements along the corridor. The criteria promote and ensure a cohesive identity for the community and set a strong vision for the appearance and functionality of Clarksville Pike’s public realm. 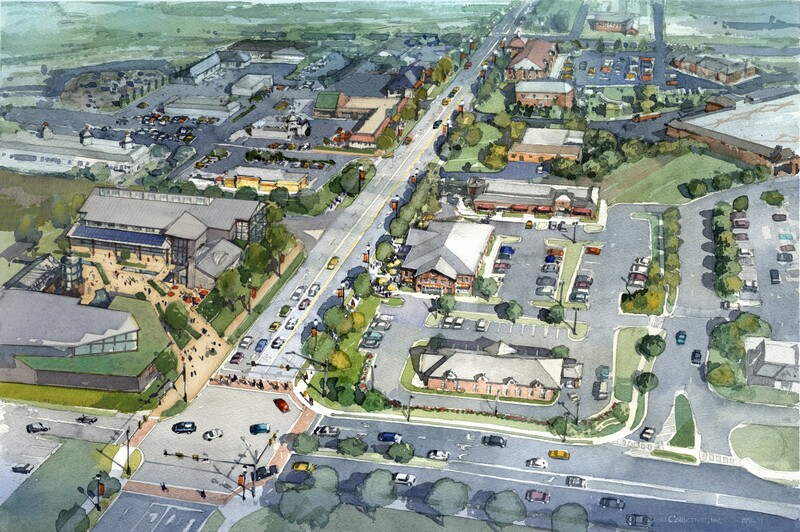 Through these efforts, Clarksville Pike will evolve into a vibrant main street that incorporates unique design aesthetics, sustainable practices, and innovative improvements that will tie the corridor together and make it accessible and functional for all users.